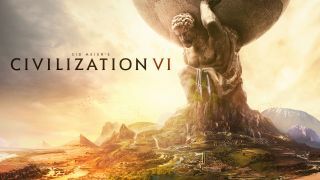 Firaxis has announced Civilization VI, the next entry in its long-running Civilization series, which first appeared a quarter of a century ago. The sixth game will fundamentally change the way cities operate within the world, for the first time allowing cities to expand across the map. In previous games cities would remain confined to a single square, but would command a sphere of influence over the surrounding land, which would expand as the city grows in power. Firaxis is also promoting a new feature it's calling 'Active Research' where your empire's research will advance more quickly if you explore and discover new cultures. The stacking of units from the games prior to Civ V has also returned with some modifications. Units will now be able to be embedded with other units. The examples Firaxis gives includes embedding anti-tank support with infantry, or a warrior with settlers. To prevent players from being scared off by jumping in with the sixth entry in a famously in-depth strategy game, the developer is working on new tutorial systems to guide new players into the experience. Civilization VI will be released worldwide on October 21. You can watch the first trailer for the game below, although it doesn't contain any gameplay footage.